Lodging | Lincoln Days Celebration, Inc.
We are frequently asked about lodging for Lincoln Days. The following hotels have agreed to offer a discounted rate for people attending the festival. All you need to do is let the hotel know you are attending Lincoln Days when you make your reservation. 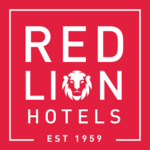 Red Lion Inn is offering a reduced rate of $105.99 for Lincoln Days. Use block code: Lincoln Days to secure this rate. Note: Rooms are selling out quickly in Elizabethtown due to numerous events. Call and book your room ASAP!